I met Ms. Smritee Raghubalan at an event in Hyderabad where she was also a facilitator and the resource person. Though I have known her through her book, which is nicknamed Raghubalan, it was a pleasure meeting the dynamic lady in person. She was extremely cordial. Bringing in 18 years of professional experience; Ms. Raghubalan is an Associate Professor in the Department of Hospitality Management and Catering Technology, Garden City University, Bangalore. She is the co-author of the textbook – Hotel Housekeeping – Operations and Management, Oxford University Press, which is being used in Indian and International Universities. Many hotel chains use her textbook for training their staff and to develop standard operating procedures. Ms. Raghubalan has presented and published papers in various conferences and journals. She is the Chief Editor of the Departmental Journal RIPPLES which is a National journal for hospitality professionals. She has delivered several guest lecturers. Her key strengths are motivating students to excel, which is evident in the fact that students trained by her always win competitions! Her constant endeavour is to make learning simple and concept based for her students. Her areas of academic interests are hotel housekeeping and food science and nutrition. She is a life member of Professional Housekeepers Association (PHA) and also holds the portfolio of Vice President – Learning and Development for the Karnataka Chapter of PHA since 2016. She is also a mentor of the youth chapter of PHA, i.e, PHA Yuva. She has been honoured with a plaque by Lovely Professional University at the Author’s Conclave in 2014. IWH: Tell us something about you, your growing up years, life through school, college etc. Ms. Raghubalan: I come from an Army background, life was steeped in discipline, adventures, seeing new places and making new friends. I am the second amongst three children and got the benefit of being guided by an elder sister and being a guide to a younger brother. I changed many schools, typical of army kids, and was consistent in academics and participative in co-curricular activities, especially being part of the music club. My alma maters are Kendriya Vidyalaya, CME, Pune and Army Public School, Dhaulakuan, New Delhi. After my father’s retirement we settled in Bangalore where my mother was teaching at Bishop Cotton Girls School. My parents ensured that I got to do my graduate and post graduate studies from best of institutions. I did my graduation in Homescience from Mount Carmel College, Bangalore and have long lasting memories of the learning environment and fun times there. I did my Masters in Homescience from SNDT Women’s University, Santacruz, Mumbai, one of best institutions for studies and research in Homescience. Life in SNDT hostel made me independent and extremely confident. IWH: What made you select Hospitality as a career? Was it easy making that decision? Ms. Raghubalan: A career in Hospitality was not as per choice but happened after marriage when I got an opportunity to teach Accommodation Operations in one of the Hotel Management colleges since housekeeping and interior decoration is part of studies in homescience. I used to get insights into working of the hotels with short refresher courses at various hotels. IWH: What is your current role? 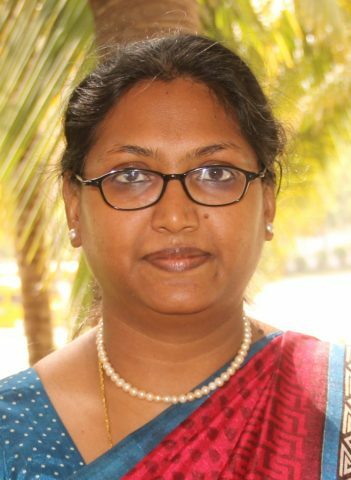 Ms. Raghubalan: Currently, I am an Associate Professor at the Department of Hospitality Management and Catering Technology at Garden City University. I am also the Assistant Registrar – Academics of Garden City University. IWH: How has your hospitality/ professional journey been so far? Pros, cons etc? 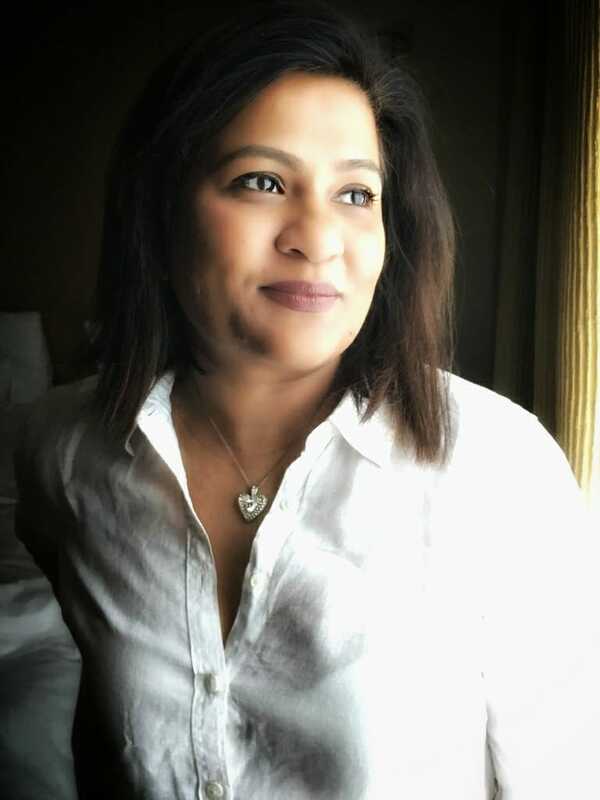 Ms. Raghubalan: My journey in the hospitality world has been of a tremendous learning and networking. I have always taught at institutions which were still setting up systems so that I could contribute in setting up systems and laboratories. At the current institution I conduct International Conferences and get to be the convenor of innovative events. I was given a chance and then developed a passion towards conducting events as a Master of Ceremonies at my current institution since last ten years. Writing a hospitality book on housekeeping was on my mind since I took up hospitality teaching as a profession as there was a dearth of books on housekeeping in India, especially from Indian perspective. So when Oxford University Press came looking for writers in Bangalore, I took the opportunity. I was asked to write two sample chapters of my choice which were sent for review by Oxford University Press to two hoteliers and two hospitality academicians. The chapters got excellent reviews and the journey of being an author began. Since my daughter was very young then, I used to wake up at 3 am to type the manuscript and spent time on research for the book when she was at the nursery school. I am thankful to the hotels that gave me access to be an observer and interact with housekeepers. IWH: Who has been your mentor or a role model? In what way has that person helped you? Ms. Raghubalan: I consider my mother as my role model as I developed a passion towards teaching seeing her involvement with students as a teacher. I have learnt that teaching should be concept based and made simple for students. Be a guide and a mentor and keep learning from students too. IWH: What have been the high points of your career? Highlight at least 3. 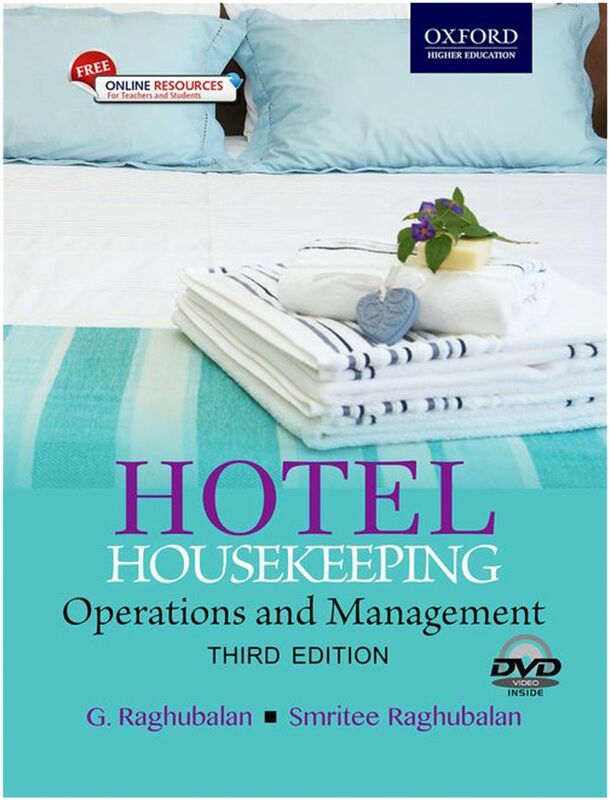 I have co-authored the textbook Hotel Housekeeping Operations and Management published by Oxford University Press. The first edition came out in 2007, the second in 2009 and the third in 2014. It took two years to complete the first edition and every new edition takes about 4 months of work.I am currently working on the fourth edition. I was honoured at The Author’s Conclave at Lovely Professional University in 2014. I was the NAAC Coordinator for Garden City College in the latest cycle and we achieved an A Grade in the National Assessment and Accreditation Council inspection. I accomplished National Eligibility Test (NET) for lecturership in one go in 1998. I have seen people attempting NET 6 – 7 times before they crack it. IWH: What challenges have you faced as a woman in the industry? How did you deal with them? Ms. Raghubalan: I have always been fortunate to work with institutions which keep women in high regard. IWH: If there was anything that you could change about your life or career what would that be? Ms. Raghubalan: I believe in ‘be the change you wish to see’. Life comes to you as you take it. I am extremely happy with a career in hospitality teaching as it is very gratifying to see students becoming professionals. 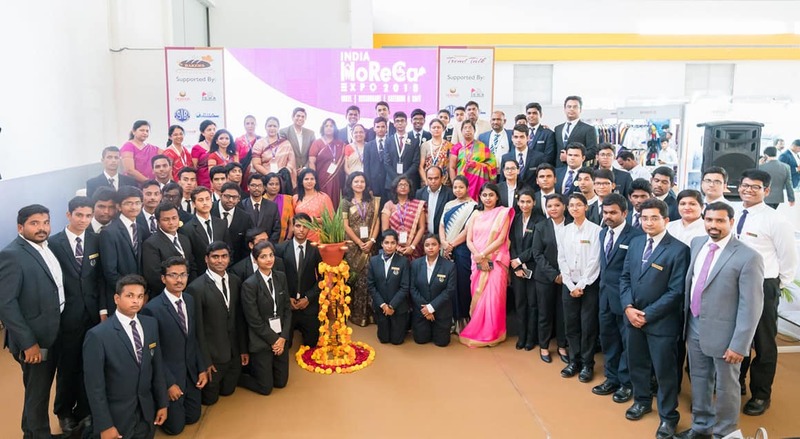 Ms. Raghubalan: It is a great platform for Women in Hospitality, a great thought to connect women in hospitality. Ms. Raghubalan: Aim for the stars but remember success is sweetest when encountered on the steps of a ladder.Each designation brings its own learning and hones you to become an ideal manager. And whichever position you hold in your career, always remember that you are responsible for the development of the people you lead. IWH: Anything else you wish to share with our readers? Ms. Raghubalan: I would like to use the IWH platform to thank the hospitality professionals and academicians who have appreciated my book. A feedback to make the book better is will be extremely valuable.